This luxury villa is located in gated community of magnificent Emerald Island Resort - one of the best vacation resorts in the area. 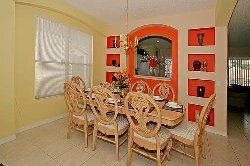 3 miles to Disney parks, 7 miles to the main gate of Magic Kingdom, 15 minutes to Sea World and Universal Studio. 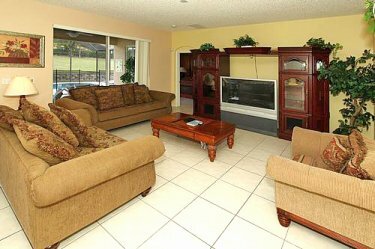 Our spacious and luxury villa, newly renovated and upgraded in Dec 2010, has 300 sq. 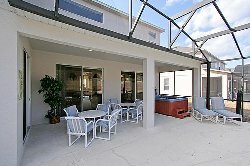 meter heated space, and is larger than most villas in Emerald Island. 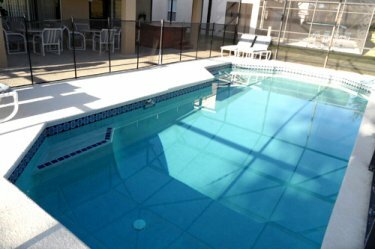 It has 7 bedrooms and 5 and half baths accommodating up to 18 people. 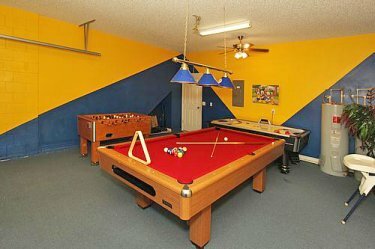 Besides standard living areas, there is a large and fun media room (2nd floor), and a huge game room (1st floor). Therefore people with different ages or interests can do their fun things in separate areas in the house without interference created. The villa has 7 bedrooms accommodating up to 18 people. There are 3 master suite bedrooms with one located downstairs. On the second floor, there are two master bedrooms and 2 regular bedrooms with a King or Queen bed, a girls room with 2 twin beds and a boys room with 4 twin beds. 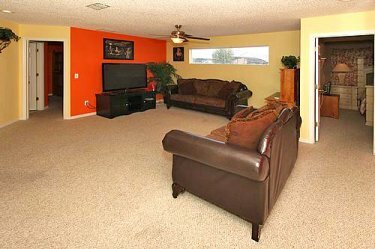 On the first floor there are living room, family room, formal dining room, kitchen nook area and a game room. On the second floor there is another living area: a large media room where guests can watch HD TV or 1080p HD movies using blue-ray disc player, play video games, and etc. 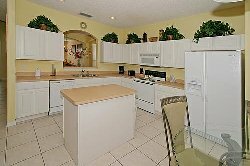 Our villa has a full well-equipped kitchen with an island, 25.3 cu.ft. refrigerator with ice/water dispenser, range/oven, microwave oven, dish washer, coffee maker and cooking utensils. The bright and airy kitchen has everything you possibly need to make gourmet meals for your entire family/group or simple snacks for your kids. 52in flat TV in family room, 58in TV and a blue ray disc player to play 1080p HD movies in media room, 5 LCD TVs in bedrooms, DVD players, WII console, pool table, air-hokey, foosball. We provide 7 TV's, 4 DVD players and 1 blue-ray disc player. In the family room there is 52-inch TV and a DVD player. In the media room, there are a new 58-inch HDTV and a blue-ray disc player, so you can watch highest definition (1080p) movies. In the three master bedrooms, there are new LCD TVs with DVD player. Additionally: free Wi-Fi Internet connection, free phone calls to anywhere in the US, Puerto Rico and Virgin Islands. Final cleaning charge is waived if the stay is 7 days or longer.